Just watched Reconnection the movie and it was amazing! So well done! No wonder it won so many film festival awards. Thank you, Govinda Maharaj and all the others who worked on this. You really captured the Vrindavan I know and love — the place, the people, the mood. The footage of Kurma Rupa prabhu was an unexpected bonus. Jaya Jaya Sri Radhe Shyam! On the picture: The bright stream of local life. 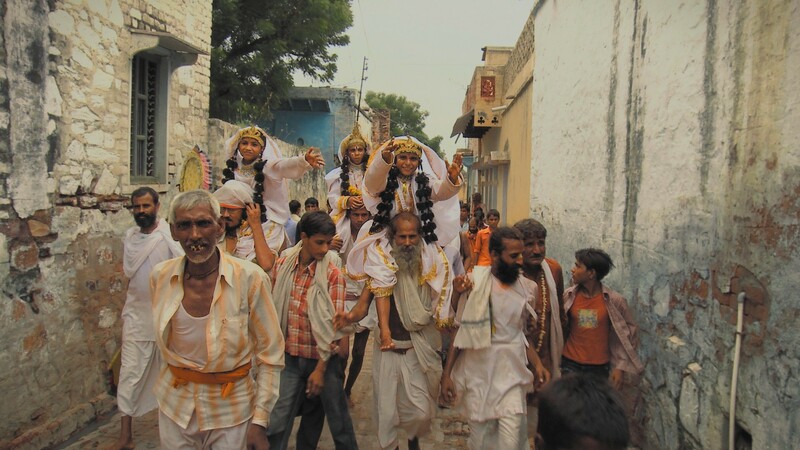 A festival at the narrow streets of Javat, India. A still from the “Reconnection” film.